Today I went to see a friend of mine performing a dance on behalf of her college and after her moment I saw some Irish dancers doing their thing.I liked the dance so much(especially the way they were jumping so high above the floor and the skinny legs of the girls) that as soon as I arrived home I searched some informations about them so I wanted to share with you. 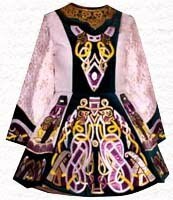 Irish dance is a group of traditional dance forms originating in Ireland which can be divided into social dances and performance dances .Irish social dances can be divided further into céilí and set dancing. 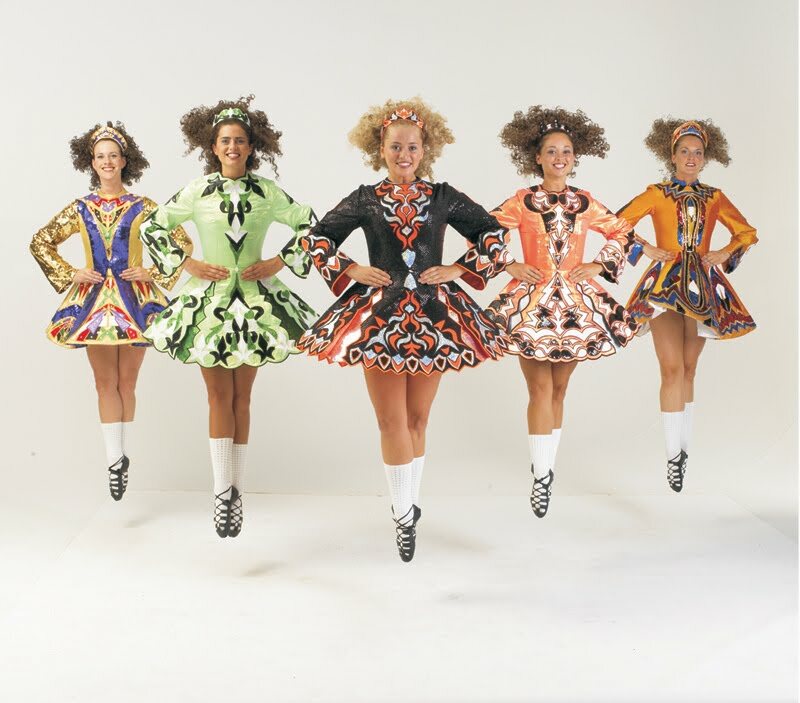 Irish set dances are quadrilles danced by 4 couples arranged in a square, while céilí dances are danced by varied formations of couples of 2 to 16 people. 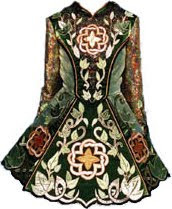 Today ornamentation is used on girls dresses, including lace, sequins, silk, extensive embroidery, feathers, fur and more. 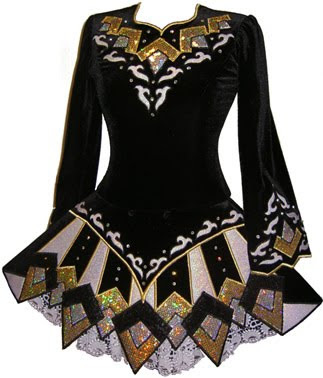 Irish Dancing schools have school dresses, which are worn by "Beginner" through "Novice" dancers. 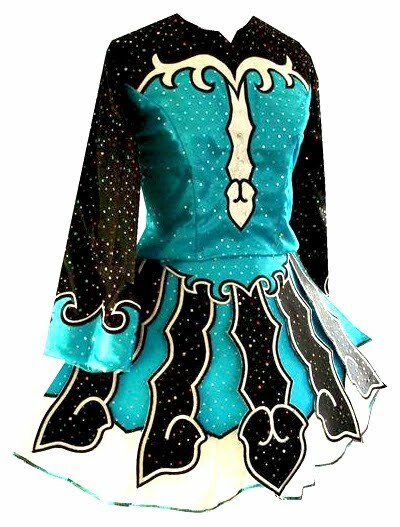 When dancers reach a level decided by their school, may get a solo dress of their own design and colors. 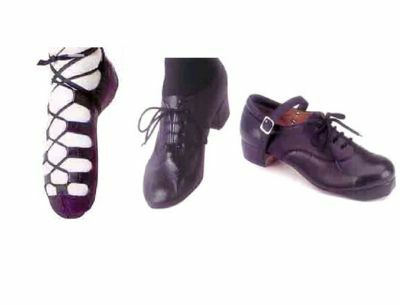 There are two types of shoes: the first is the soft shoe, otherwise known as ghillies, and hard shoes for the heavy dances, such as horn pipe.The hard shoe is similar to tap shoes, except that the tips and heels are made of fiberglass, instead of metal, and are significantly bulkier. The hard shoes were originally made of wood in the 19th century and early 20th century. The first hard shoes had wooden or leather taps with metal nails. Later the taps and heels were changed into resin or fiberglass to reduce the weight and to increase the footwork sounds. I was never really aware of the Irish dances. The clothes remind me of those in ice-skating competitions.